My interest is primarily in contemporary conservation. In talking about wildlife and biodiversity conservation in Zimbabwe, we evoke images of the striking landscapes we have. When talking about conservation, however, we also find ourselves needing to discuss the more difficult topics such as land, race, identity and post-colonialism. There is a great deal of intersectionality and we need to take a moment to turn back the clock. Our landscapes aren’t just things out there; they are tied to our ‘geographic imaginaries,’ they are of cultural and social relevance, and are connected to questions about who belongs there, and what social space the land should be used for. Take the Matobo landscape for example, where the recently departed Terence Ranger contrasted conflicting colonial and nationalist claims to the area with the marginalised ‘voices from the rocks’ which spoke of Kalanga and then Ndebele perceptions and experiences; whispers full of texture and meaning, speaking of places of power such as the Njelele rain shrine to Mlimo. In thinking about our future landscapes then, we need to think about the ways in which we can infuse new emotional, spiritual and discursive ties to them, and as the Matobo example teaches, ones which are socially and ecologically just. As a fundamental element of landscapes, ‘land’ within societies itself is a created thing; it doesn’t just exist – it is connected to intergenerational systems of power. We know this well given the tumultuous history of land conflict in Zimbabwe. In the first instance then, our conversation about where we want to go needs to begin with where we came from. The effect of colonialism cannot be denied. We need to talk about the ‘colonial present’ for the ways that colonialism was less an event than an imposed structure. It was not just a past injustice that can slip quietly over the edge of the shallow time horizon of the wilfully forgetful. It was a form of inter-generational violence that we still feel today, no matter who you are in Zimbabwe. In this sense, it is not unlike climate change, where the fossil fuel emissions we are failing to curb today will impact the lives of our children and grandchildren more so than they are already affecting us. The form of violence that was the expropriation of land and the marginalisation of the indigenous population of what was to become Rhodesia into the Communal Area System (unproductive land that became increasingly overcrowded over time leading to environmental degradation) paid forward what we would all have to grapple with in due course. Action leads to a reaction, and yes we are still grappling. 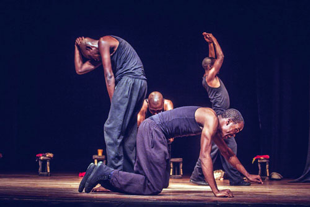 Raisedon Baya in his contemporary play ‘The Taking’ tackles the issue of land by linking it to the Chimurenga He is especially provocative when describing the period from the Fast Track Land Reform Programme onwards, as a Third Chimurenga. Baya asks some striking questions regarding who should be considered the heroes and the villains of these Chimurenga. How should we conceive of ‘the taking’? Who has the power and social licence to talk about it, and who is silenced? These have a great bearing on the future, and just as we rightly question our interventions in response to climate change, so too should we be critical and reflective when addressing questions of land. To get at these questions we must delicately navigate through Zimbabwe’s History. The Second Matabele War of March 1896 to October 1897, popularly the First Chimurenga, is associated with heroes like Mbuya Nehanda, Sekuru Kaguvi and the Ndebele Mlimo. The Second Chimurenga (1966 – 79), otherwise known as the Zimbabwe War of Liberation had many known heroes, including Josiah Tongogara, Lookout Masuku, Herbert Chitepo and Rekayi Tangwena. Yet are the current waters more muddied in the Third Chimureanga? However, a just cause does not always a just intervention or a just outcome make. 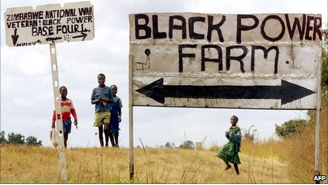 Institutions like the Institute for People, Land and Agrarian Studies (PLAAS) in South Africa insist on the urgency for land reform; lest they find themselves in a position where president Zuma is to proceed on land reform, not necessarily because it is the right thing to do, but because it will ‘steal the thunder’ from the Economic Freedom Fighters. Does this sound familiar? Can we entertain parallels to Zimbabwe and the desire to knock uppity white farmers (reneging on a tacit post-independence deal to keep quiet and keep their land) who were seen to be supporting a resurgent opposition in the form of the Movement for Democratic Change (MDC)? Certainly we see that land reform was necessary, and certainly not the disaster it is often painted to be; with numerous studies by academics such as Tendi, Moyo, and Scoones et al pointing to the multifaceted nature of its outcomes, its positives, and the great restructuring of our agrarian structure it has precipitated. Much less too can we knock the efforts of A1 resettled farmers from the communal areas, making do the best they can with little support, and in many instances doing a good job of it. 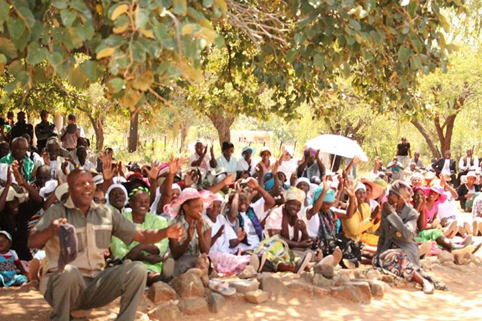 Much less sympathetic are we, however, when we learn that in some districts, like Mangwe in Matabeleland, up to 90% of new, often politically connected A2 farmers, are ‘weekend’ or ‘cellphone farmers’, with little true interest in putting sweat into the soil. Or more perversely when we hear of the dispossession, even of those who have scarcely been resettled before an elite grab, or the removal of villagers for the expansion of the ‘Gracelands Empire’. Is our future to be based on the retooling of the large-scale agriculture and the agro-empires of old, rejuvenated though Chinese investment and big men and women aiming for the kind of industrial estates beloved by the G8 plan for the modernisation of African agriculture? Or will we realise that this kind of aim is rudderless? Particularly so in an agrarian structure that has few farms large enough (now we have 90% of Zimbabwe’s farmers as smallholders, on 80% of the farmed land – ironically like the kind of restructuring that drove China’s growth), and where, as elsewhere in Africa, the new kinds of displacement it could impose would indirectly pressure protected areas; as landless individuals come to rely on poaching, encroachment or the extract non timber forest products. When we confront such issues we come face to face with issues of class and entitlement, and the connections the latter might have to party allegiance and hierarchy – just as we have before when similar issues have always been embodied in racial privilege. Are we to expect another Murambatsvina down the line, albeit in a rural context? What does history teach us of cause and effect in such instances? Consider here the recent backlash from residents at Maleme Ranch in Matobo District where beneficiaries from Ebeneezer College, and the congregation that attend Shalom Camp site, successfully rose up and resisted the takeover of the farm by an official from the Office of the President at Kezi. There is a new rural politics afoot, and in answer to who then will be recognised as those other Heroes of the Third Chimurenga. Beyond the movement from below that forced the reform agenda, I would offer that it will be those hybrid communities in places like Maleme (yes of black and white citizens) who resist elite grabs, and focus on shared growth. It is to the smallholders that we must turn, with suitable investment and new market development, to drive our new rural economies. So it seems the major ongoing issue is inequality, and let us not be so selfish to assume this is our own unique problem in a global context where the focus of policy is turning again to inequality, recognised as a threat to economic stability even at the World Economic Forum in Davos. In returning to the issue of conservation (finally) however, we see another inequality persisting, that of race. Loyiso Gola at Shoko festival joked about the Pistorius case (too soon?) saying that the only thing that white folks get more uptight about than a white woman getting shot, is a rhino getting shot. He then quipped to the Harare audience that before caring about Rhinos politicians here would ask first “was that Rhino part of the liberation struggle?” The menu at our dear leader’s 91st birthday bash might attest to this, as it was replete with sable and elephant. On the other hand conservation has served as a bastion of ‘whiteness’. It played a role in the justification of the colonial enclosure of customary lands, and it has formed a cornerstone of white identity ever since – in which whites, David Hughes in his book ‘Whiteness in Zimbabwe‘ argues, forged a kind of nationalism and identity that was connected to Rhodesian landscapes, but ones that were conveniently imagined as devoid of people or customary property rights. 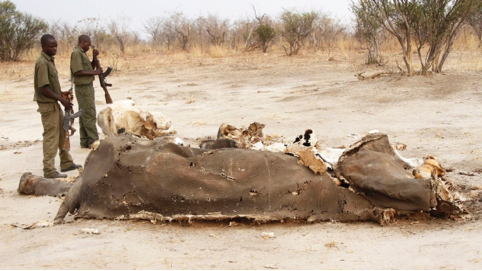 My participation in an all-white game count at Hwange National Park last year hints that this divide may still be apparent today, but how do we bridge it and move beyond it? It seems that, again we are faced with the fundamental questions as to the kinds of communities, of both humans and non-humans that we want, and how we collectively envisage and recreate our landscapes – be they for conservation or agricultural purposes. At least pertaining to the human component, in part this will involve moving beyond the essentialised divide we have across race. We are black and white bodies situated between historical trajectories and contemporary conjunctures, but our communities can supersede these. While mainstream history recognises the tensions between our Shona and Ndebele peoples, it is less well known that whites were never a truly unified bunch in Rhodesia or beyond. There was always a tension in the settler state between the interests of imperial capital and the settler agriculturalists and bureaucrats. And you cannot tell me that a white urban accountant today has the same interests as Billy Rautenbach. In fact over hundreds of years most ‘European’ immigrants and their descendants have been used instrumentally by white elites to cement the interlocking racial and economic hierarchies that subjugate most people, both black and white in this country. In the process, it is arguable that many have lost their ethnic roots and adopted “white” identities defined, in part, by fear. We see this fear in South Africa, embodied concretely in types like Pistorius, and surely in the smaller population here in Zimbabwe, and such fears and divides must be abandoned in favour of connection. What kinds of more nuanced white identities can we forge that conceive of a more populated cultural and physical landscape, and what sorts of connections can we retrace from Shona and Ndebele identities, amongst others, that give meaning to conservation spaces, and more inclusively foster environmental stewardship? We need forms of national ritual and healing that take us beyond Gukurahundi, beyond our racial tensions, and new narratives that more readily unify landscapes. And we just might find their seeds in places like Maleme and in the sorts of hybrid conservation and agricultural communities that are nascent all over the country, but awaiting their chance for their whispers to be heard and celebrated. Dr Adrian Nel is a researcher with a passion for development, the environment, conservation and sustainability.